Losing three home matches in a little over a week would put huge pressure on any manager, let alone one whose initial appointment did not go down well with so many of the fans. The media say it is the fans who ended Owen Coyle’s tenure at Wigan. The more rational argument is that Dave Whelan still wants promotion back to the Premier League and events led him to believe that Coyle could not hack it. There has been so much doom and gloom over these past days. The “Coyle Out” movement was growing and growing, but fans have also been having a go at players too. The two experienced central strikers signed by Coyle – Marc-Antoine Fortune and Grant Holt – have been the main targets through fan and social media. But it is not just Coyle’s signings who have been under attack. Coyle was right in saying that there is expectation at Wigan. After eight seasons in the Premier League, a League Cup Final appearance and winning the FA Cup people do expect better than what has been seen this season. Last season Latics put out weakened teams to demolish Championship teams Nottingham Forest and Huddersfield Town away from home in cup competitions. This season’s home victories over those teams were ‘grind-it-out victories’ with little of that flair on view. Coyle’s appointment was always going to be about revolution rather than evolution. Whelan had chosen a manager whose ideas of playing style was diametrically opposed to that of his predecessor, Roberto Martinez. Coyle had to deal with players used to passing the ball out of defence, keeping the ball on the ground. But he signed defenders of the ‘no-nonsense’ type, hoofing the ball away when under the slightest pressure. Coyle was unable to find a consistently happy medium. Too often the players seemed confused about what was expected of them. The playing style lacked “identity”. They played in a tactical vacuum. However, it could be argued that Coyle knew what he was doing and was not allowed enough time. He had a monumental task ahead of him rebuilding a team from the rubble remaining at the end of the Martinez era. He did a fantastic job in recruiting a dozen new players, all of whom are capable of playing a role for Latics in their quest to get out of the Championship and back to the Premier League. Despite the frustrations Latics remain in mid-table in the Championship and still have a chance of progressing to the next round of the Europa League. A new manager coming in will have the luxury that was not afforded to Owen Coyle – starting with a strong squad of players capable of winning promotion. All that is needed is a couple of astute signings in the January transfer window. If Latics are promoted come May it is the new manager who will receive the plaudits. Only the more discerning of fans will recognize the great job done by Coyle in putting that squad together. He has laid the foundations upon which the incoming manager can build. 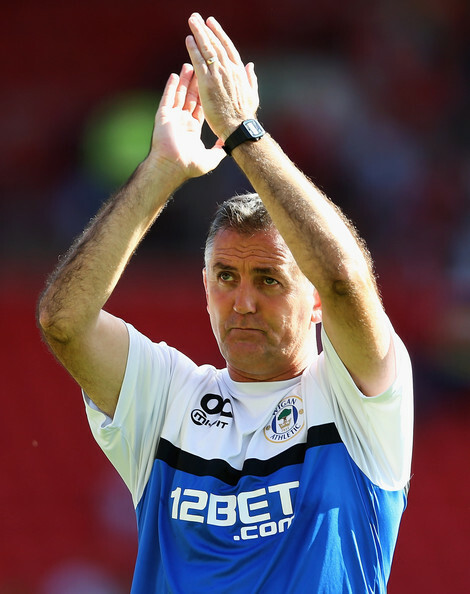 Coyle was only at Wigan for six months, but he has left a legacy that will serve the club for seasons to come. ← Derby Preview – a chance for a youthful strikeforce?